Located in the UNESCO protected biosphere of the Baa Atoll, Amilla Fushi perfectly translates from Dhivehi to ‘My Island Home’ as that’s exactly what it is. The breath-taking beauty of this island coupled with the luxurious beach houses and residences make Amilla Fushi a truly Extraordinary Escape. One of the newer Island resorts to the Maldives, Amilla Fushi has quickly become a favourite of our team due to the amazingly private and chic beach houses, decadent cuisine from the many fine-dining restaurants and abundance of activities. Securing a position on the coveted Condé Nast Traveller Gold List for 2019, this island paradise is a must see. Less than one kilometre in length this exclusive island has some of the richest marine life in the Maldives. One of our favourite things to do is a morning snorkel before breakfast. The unique island transport also sets Amilla Fushi apart, your personalised ‘Rolls’ beach buggy and bicycles come with each Villa however as the amenities are quite close you can also enjoy a relaxing walk. 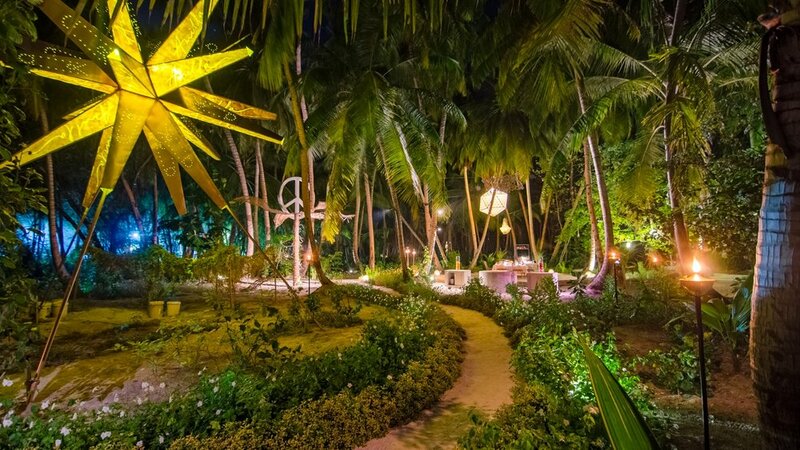 The events hosted by Amilla Fushi are not to be missed including amazing fireworks filled celebrations on the beautiful sands of this island. Amilla Fushi has these incredible beanbags surrounding the pool and on the main beach. Order sunset drinks and make yourself comfortable watching the sun sink into the horizon. Amilla Fushi’s Villas are designed to be your own private Maldivian House rather than just a Villa. They have taken the designs of the true Maldivian local houses even down to the design of the tiles used in the local homes and incorporated all this into their beautiful Island Villas. They are chic and modern with all the luxury imaginable but authentically Maldivian at the same time. All Villas have their own private plunge pools and luxurious bathroom amenities by Aesop that will leave you feeling completely pampered. All Villas have spectacular views, with the Water and Lagoon Houses positioned over the reef whilst the Beach Houses have private beach access. The Villas themselves are so well thought out, optimizing on the space available and the plunge pools are large for traditional Villa plunge pools. The Skyhouses located high in the tropical palm trees are unique to Amilla Fushi and are suspended 12 metres up between a canopy of beautiful palms and the bluest sky. Available with one or two bedrooms, these are our pick for the ultimate in tranquillity and peace high amongst the treetops. The Skyhouses with Bubble are an adventure in themselves their own private transparent Bubble, rotating bed and infinity plunge pool. A removable cover on the bubble provides sun protection during the day but at night it’s removed to reveal a breathtaking star filled sky above. From sunrise to sunset you can enjoy a personalised degustation breakfast or dinner. 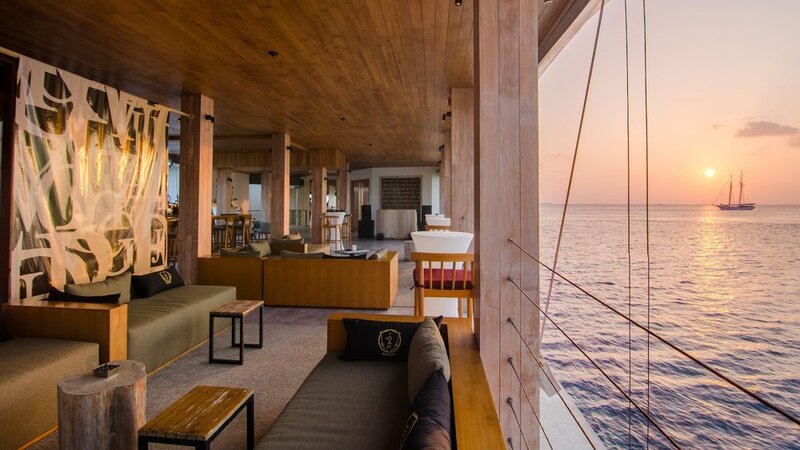 For a truly amazing experience, the Residences are also unique to Amilla Fushi. Perfect for larger families and friends, you are sure to have more than enough space. Available with four, six or eight bedrooms these Residences define a new level of luxurious Island homes. The luxury Rolls Royce golf buggies that come with the Residences are the best way to get around the island and the most fun! Dining at Amilla Fushi is a pure delight with the many restaurant options positioned in the most spectacular locations. Or choose from the extensive in-villa dining and enjoy the beautiful surrounds in the comfort of your own Island Home. Amilla Fushi is renowned for its amazingly fresh fare with fresh fish, vegetables and fruits delivering cuisines that are both interesting and delicious. The dining options are endless with offerings like Fisherman’s Night at WOK, traditional Maldivian cuisine at Maldivian Night at Baazaar, Caviar Savouring Japanese style at Feeling Koi and Steak Night at Baazaar, a night dedicated to the finest cuts. Friday nights are spectacular featuring fresh lobster and champagne, all enjoyed by the beach over a beautiful Maldivian sunset. The Cellar Door offers 8,000 bottles that can be bought by the bottle or by the case, to be enjoyed over a wine and cheese tasting or a beautiful evening. 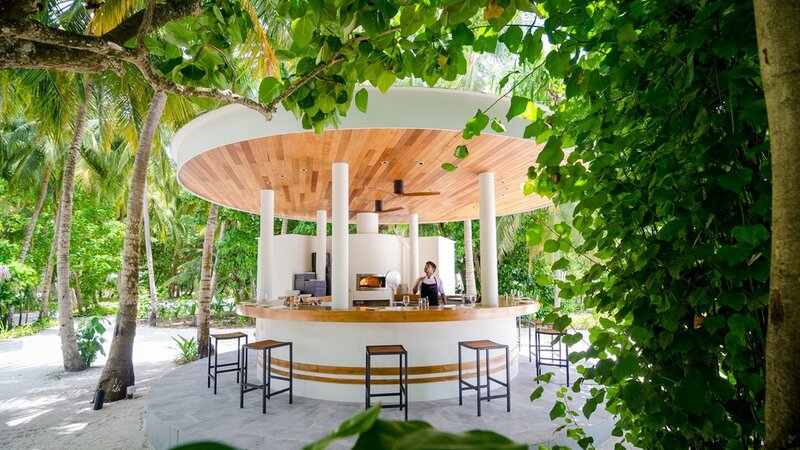 Throughout the year, Amilla Fushi also has world famous visiting guest Chefs. An evening at Amilla Fushi’s signature restaurant Feeling Koi is a must. Serving award winning Japanese Izakaya cuisine with a Latin touch, it will be a truly memorable meal. Let us organise your secluded and personalised picnic on this beautiful island paradise with the many destination dining activities on offer. An island full of adventure, there is so much to explore on this beautiful island paradise. The H.U.B led by experienced Marine Biologists, is the start of your amazing ocean escape on the open seas, exploring the coral reefs abundant with colourful fish, dolphins, manta rays and turtles. Out of the water, release your sporty side with badminton, tennis with a pro, volleyball and soccer against Amilla’s Islander team. After the competition enjoy a swim in the huge and inviting main pool or choose from the many activities on the waves. For the ultimate escape we recommend the sandbank experience that can be personalised just for you – the absolute in relaxation. On the seas, Sloop John B is Amilla’s 65 foot fully air-conditioned Dhoni, a traditional Maldivian Sailboat with the ultimate in luxury. Enjoy exploring the Maldives for a few hours or a 36 hour cruise with your own personalised itinerary. All with your own butler. The Sultan’s Village Kids Club, is one of the best, offering daily programmes, complimentary child-minding and endless activities. The Sultan’s Village has a fantastic clubhouse for some out of sun time, a paddling pool and adventure playground. The perfect escape has something for everyone to enjoy and Amilla Fushi prides itself on creating magical experiences, some just for the kids and others that the entire family can enjoy together. The Javvu Spa is outstanding and offers everything a Spa connoisseur could possibly want including a specialist hair therapist. We can easily see why this Spa was named the Winner of the 2018 World Luxury Spa Award. Located on the shores of Amilla Fushi, Javvu Spa is the perfect place to indulge in a soothing treatment for ultimate in relaxation. Whether you’re looking to exercise, meditate or enjoy a massage, this Spa offers private treatment room pods, social zones, pots of tea and secluded spots for you to do just that. The Saunas, steam rooms and plunge pools are also part of this amazing Spa experience. With 5-Star products and an extensive treatment menu this is fast becoming one of our favourite Spas in the Maldives.